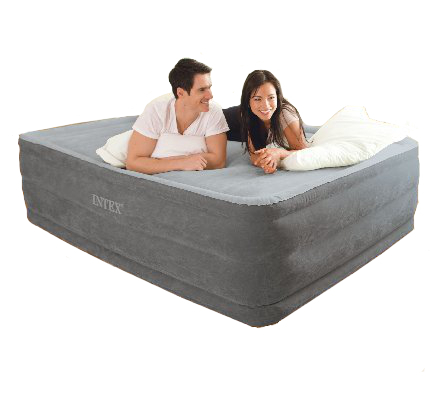 Intex 64418 Comfort Plush High Rise Airbed with Built-in Electric Pump. The perfect combination of luxurious comfort and convenience. The patented Fibre-Tech inner construction utilizes thousands of high-strength polyester fibres that, unlike traditional airbed construction, do not stretch over time, resulting in durability and lasting comfort. The bed's elevated 22" height makes it easier to get in and out of, much like a traditional mattress. The bed is covered in plush soft flocking for an extra comfortable sleeping surface. For added convenience, this bed comes with a powerful built-in electric pump for fast inflation and deflation. - Mattress is raised 22'' from the floor for convenience. - Mattress approximate maximum dimensions 60'' x 80'' x 22'' . - Weighs approximately 9 Kg. 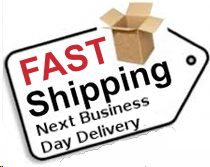 - Inflates in 4½ minutes (Inflation time varies by desired firmness).